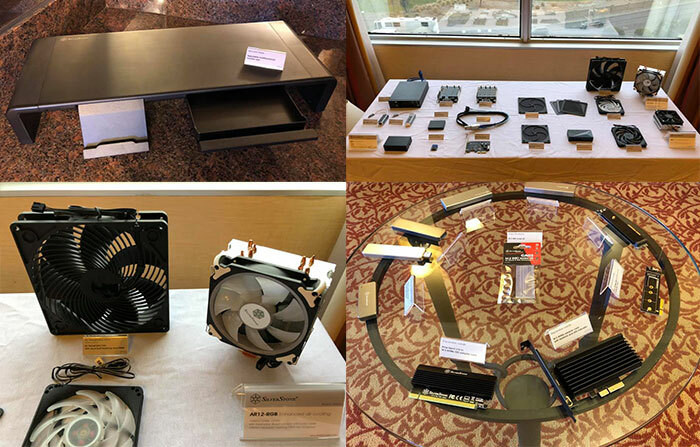 HEXUS caught up with SilverStone Technology at its CES 2019 suite in Las Vegas late last week. The PC parts specialist showed us a variety of appealing products focussed, but not exclusively, within its strong chassis and power supply unit (PSU) categories. The first product SilverStone's Tony Ou wanted to highlight was a new member of its Raven chassis series. 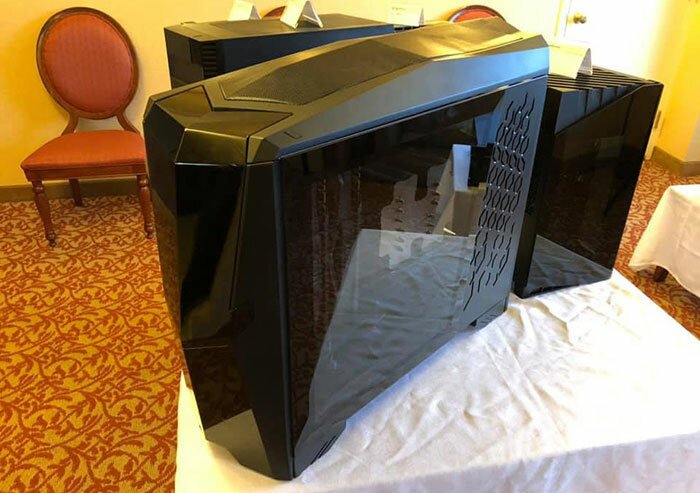 Ou noted that this prototype will become the first new Raven full ATX chassis introduction in four years, so the firm has certainly had time to implement refinements. The brand new Raven ATX tower chassis will offer a lot of build flexibility, explained SilverStone, thanks to the decision to remove front access drive options such as 3.5- and 5.25- inch bays. Inspired by the internal space on offer, SilverStone brings back 90 degree motherboard mounting. There are a number of benefits to this orientation - it prevents GPU sag, and is great for cooling performance, asserted Ou in his presentation. Another benefit of the vertical motherboard orientation is the transparent front of the Raven now allows you to see the face of your RGB LED GPU. Considering that the graphics card is the most glamorous and expensive PC component for many, this may be appreciated by enthusiasts. Other effects felt by the removal of old external drive bay design considerations are; room for 2x AiO radiators in the back of the chassis, plenty of mount options for 3.5- and 2.5-inch drives, and room for an 180mm PSU in the base. The second chassis Ou wanted to highlight to us was the compact new SilverStone Lucid LD03. SilverStone had a production sample on show. It was demonstrated as offering push-tab access, allowing for secure but swift removal of top, front and side panels for upgrades and so on. On the topic of cooling performance for the LD03, there are 2x120mm fan mounts, and SilverStone says that up to 200W air cooled GPUs (300W for blower fan models) can be installed. You can boost these limits by either using liquid cooling or installing a mesh side panel option to increase air flow possibilities. For PSUs SilverStone is best known for its SFX designs, and it showed off its latest 700W 80+ GOLD, while explaining it is working to bring an even more efficient model to market dubbed the SX-700PT - with Platinum rating - which includes a second motherboard EPS connector too. Another highlight of SilverStone's PSU lineup was the Strider Platinum series ST1200-PTS. This product was introduced last year but has only just gone on sale. Its significant achievement is that it is the world's most compact PSU with this rating and has a depth of just 140mm. Lastly, with regard to ATX PSUs, SilverStone now has a 2000W model available, with 180mm depth. SilverStone rounded off its presentation to HEXUS by highlighting its ECM26 PCIe to M.2 adaptor which provides a heatsink to cool the SSD controller. The M.2 card is installed on top of this with a supplied thermal pad. 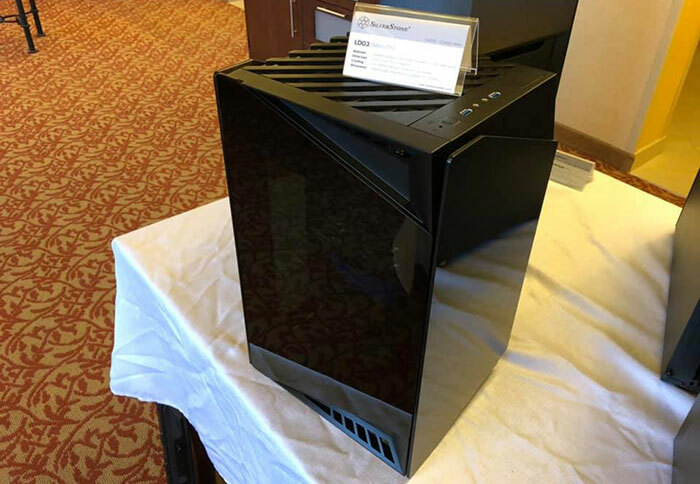 Ou touted a temperature reduction of 15 to 20°C using SilverStone's design. It isn't so much trendy as practical. If you want to put a load of components of varying shapes and sizes into one enclosure a box shape is the easiest and cheapest solution. Because we can't fit everything we want into a tiny case… there's no way I'd fit everything I have in my pc in a smaller case, it's a tight fit as it is. If I was to upgrade to what I have been looking at there is no chance I'd get it to fit in the box, let alone cool it sufficiently. This Raven is almost like the RV01 ? Can't see much change other than the price & pointless RBG.